SPRYTE Communications was lucky to attend PRNews’ “Big 4 Social Media Conference” in San Francisco in August. Of course, Facebook is one of the big four. Facebook Live was the topic of one of the sessions and discussed in at least three others. Advance Notice: One of the presenters said, if you’re going to go to the trouble of producing a Facebook Live session, you should start talking about it far in advance so as many viewers as possible plan to tune in. Another quipped, don’t talk about it in advance, let people find and delight in it in the moment. Still another recommended hyping early the day of and up until the video rolls. Production Quality: Is it a fleeting moment in time where poor production quality is proof of your authenticity or, because you’re a fierce guardian of your brand with evolved standards, should the production quality reflect your brand’s high quality? The Why: Does the organization truly have a strategy for Facebook Live and why they allot the resources to produce them? Or, do they just have resources they’re throwing around because they can afford to be experimental? At the Conference, we spent 15 minutes watching a video of two Buzzfeed staffers putting rubber bands around a watermelon until it burst all over the company kitchen. This was an example of Buzzfeed connecting with its audience and showing rather than telling its brand promise to entertain millennials. 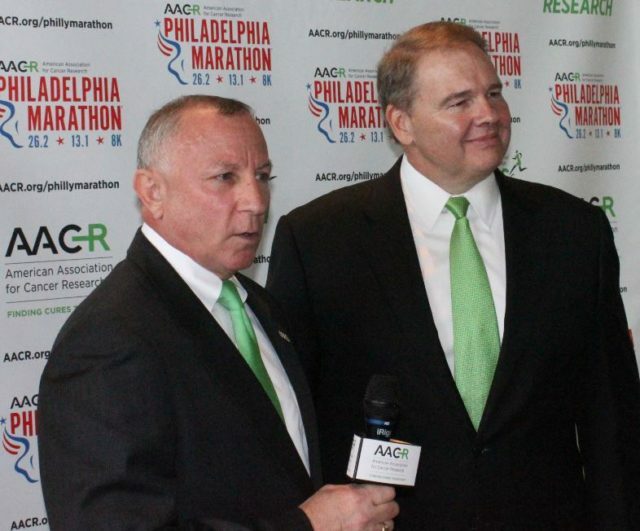 As part of its work on behalf of the City of Philadelphia, SPRYTE collaborated recently with the American Association for Cancer Research (AACR) on a media information event for the purpose of a major news announcement. While SPRYTE encouraged broadcast and print media to cover the event, AACR’s digital communications staff was on the scene with lights, camera and sound producing a Facebook Live session complete with interviews. And in case you missed it, you can find it archived on AACR’s Facebook page. The ability to archive videos on your Facebook page is another reason to consider Facebook Live. As SPRYTE works with its healthcare clients to plan their 2018 communications programs, Facebook Live is a tactic we will likely recommend, if it’s a good way to bring one of our business strategies to life and we can measure the outcomes.